Discovered before its time, the Quick Response (QR) code suffered a downfall from which it recovered better, stronger and more powerful making it one of the greatest efficiency leading inventions used by marketers across multiple industries. Two students, Norman Joseph Woodland and Bernard Silver, patented the barcode in 1952. However, it wasn’t until the 1960s that their brilliant invention became practical. Railroad industry was the first to implement the two-dimensional barcode to track the contents of individual railcars using the Kar Trak System. Later on in the 1970s, the first commercially popularized code, known as the Unique Product Code (UPC) hit the retail market in attempt to prevent repetitive motions of manually entering numbers. Still, the quest for efficiency continued and in 1994 a Japanese subsidiary of Toyota, Denso Wave, invented the barcode’s ultimate descendant: the Quick Response (QR) code. Unlike the barcode containing around twenty alphanumeric characters, the QR code is an optical label containing information about the objects it’s attached to. It was primarily created to track motor vehicles during their manufacturing process, however marketers have repurposed it to facilitate short-term commercial interactions. At the time, Thaddeus Kromelis, a strategist at WWP’s (WPPGY) Blue State Digital has described it as a tool that many marketers used in attempt “to convey the appearance of being tech savvy”. QR codes were an incredibly smart piece of tech that allowed businesses to lure customers to their websites. Unfortunately they went from fame to lame. First of all, they were ahead of their time with the idea of a single point your camera and scan the code approach. Not only you had to own a smartphone device, but also you then had to download another app to be able to scan the QR code from a close up, as the smartphone’s camera was incompatible at the time. Second of all, QR codes attracted hackers. Machine-readable, they were impossible to decipher by the human eye, and so serious privacy and security concerns were raised. The difference between scammed QR codes and genuine ones was impossible to tell and so their greatness came to a haul. Back in 2014, the Quick Response (QR) code triumphed a great comeback. Apple upgraded their latest operating system and their camera app now recognised QR codes automatically. With technology finally supporting QR codes effortlessly, and further development that allowed for the codes to be printed even in the roughest circumstances and scanned from afar many industries have implemented them since. Nowadays, QR codes are seen as one of the most trusted ways for businesses to communicate information to online site from the offline tag. Marketers use them to share and contain valuable content from inventory tracking, online ticketing, links to products and services, Google map directions and contact details. Both of Geniusin’s applications, getWaiter and Buzz2Get are solely dependent on the wonders of the QR codes. 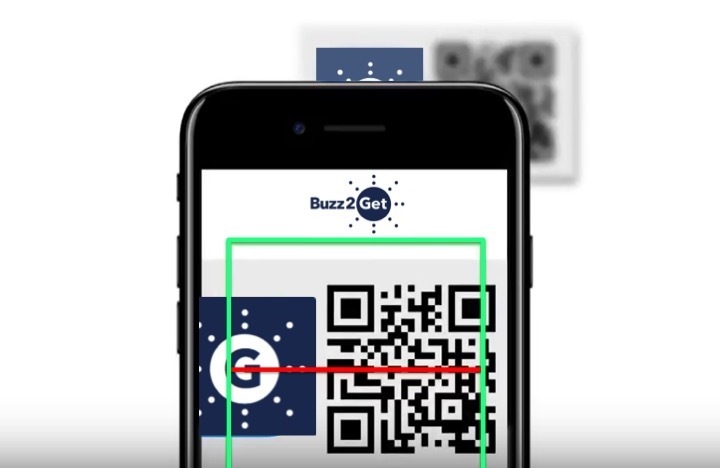 The apps have their own QR code recognition, which, unlike a typical barcode reader is designed to read only the branded codes supplied by either getWaiter or Buzz2Get. Customers can therefore access data about the items they have scanned or call over an assistant without having to move or notify the staff of their whereabouts. 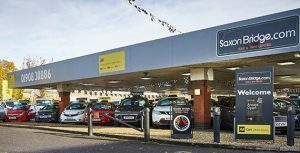 This convenience is particularly attractive when leaving feedback, as all of the location led questions that customers are normally de-motivated by get registered automatically when the QR code gets scanned. Furthermore, using the QR codes has allowed the company to provide its clients with interchangeable functionality, valuable insights and analytics. 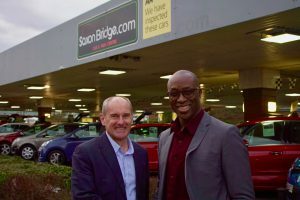 Saxon Bridge partners with Buzz2Get to offer it’s customers car buying convenience. App Development: Can you avoid it using buzz2get?